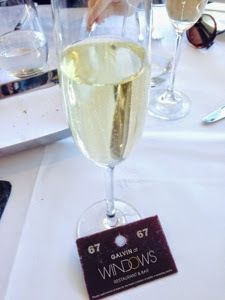 It was my dad's birthday at the end of March and I decided to take us to the Galvin at Windows restaurant in the London Hilton hotel on Park Lane for lunch. 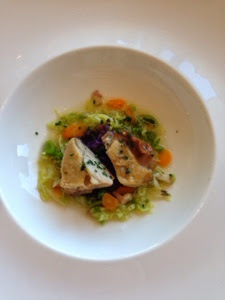 As you can imagine with most fine dining restaurants, you need to book a table well in advance. 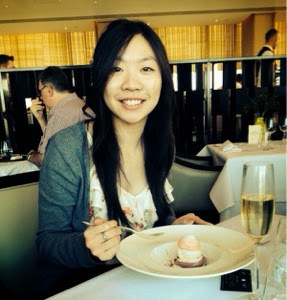 This restaurant is on the 28th floor of the hotel and over looks Hyde Park so it was obvious to ask to be seated near the window to get a good view! Good view + good food. 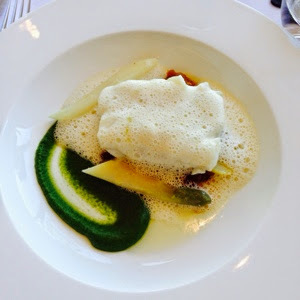 For my main, I had Steamed fillet of cod, broccoli purée, pomme Lyonnaise & white asparagus. This was so nice and from the photo, you can see they added some foam to make it look all fancy! My dessert was definitely my favourite part of the meal! 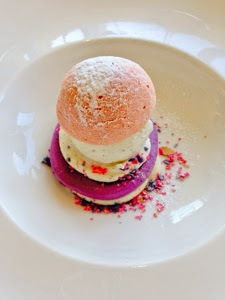 Violet & rose water meringue, vanilla crème chantilly. This was heaven... I can't even describe how good it was. My parents thought it was too sweet but me and my brother really enjoyed it. 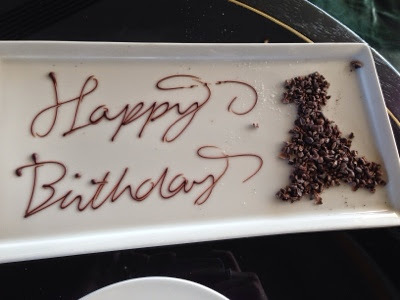 As it was my dad's birthday, they brought over a plate of chocolates with 'happy birthday' written on it in chocolate which I hadn't even asked them to do. It was a lovely surprise :). 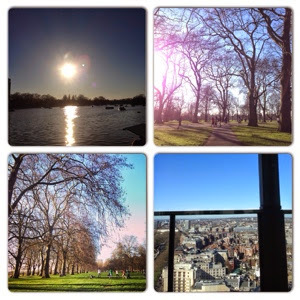 It was such a nice day when we went so the photos of the view outside turned out really well. Hope you enjoy the photos and this different blog post!